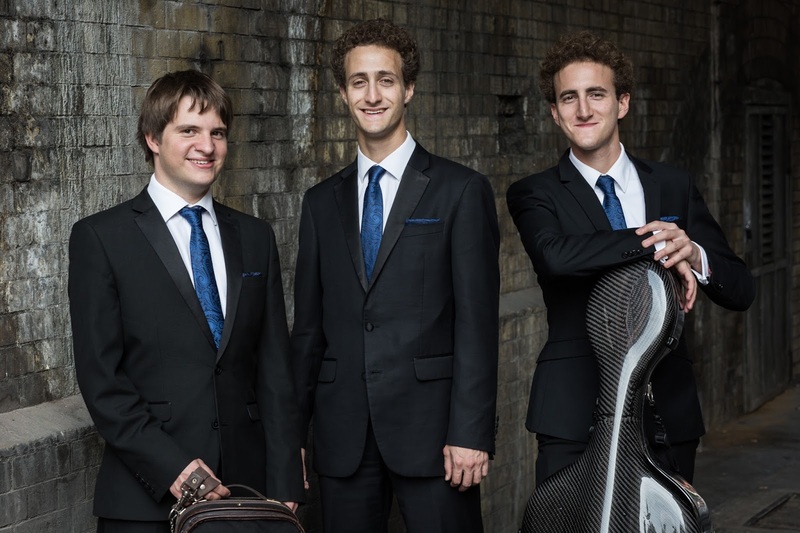 This Saturday, 24th October 2015, we are delighted to welcome the Busch Trio to Penzance. 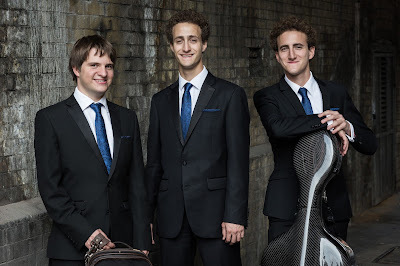 Tim Boulton comments "I first met these three young men, Omri Epstein piano, Mathieu van Bellen violin and Ori Epstein cello about three years ago and was immediately struck by their enormous combined talents, beautiful and cultured tone and deep musicianship. Their ensemble playing is underpinned by brotherhood and deep friendship and their playing is going from strength to strength." "As three soloists in their own right, Omri Epstein "the group's marvellously sensitive pianist", Mathieu van Bellen, whose "silvery gleam darted eloquently", and Ori Epstein, with whom "you felt in the grip of a warm hug", have all won prizes in solo international competitions. Brought together by a shared deep passion for chamber music and inspired by Mathieu's possession of the "ex-Adolf Busch" J.B. Guadagnini violin (Turin, 1783), they have been recognised for their achievements and their playing with "incredible verve".